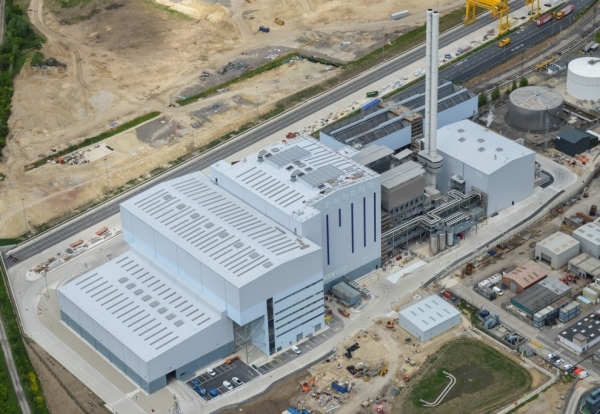 Power generator SSE has taken a final investment decision to proceed with the Ferrybridge Multifuel 2 project in West Yorkshire, with construction expected to begin later this year. The project will be built next to the recently completed FM1 project on land at Ferrybridge ‘C’ Power Station in Knottingley. An EPC contract has now been signed with Swiss engineering contractor Hitachi Zosen Inova, which built the neighbouring FM1 plant. More than 500 construction jobs will be created during the three-year FM2 build. Details of the upcoming meet the buyer event will be advertised in due course. Like the first multifuel plant, FM2 will have a generating capacity of 90MW and will produce enough energy to power around 160,000 homes. John Sisk & Sons was subcontracted to perform the concrete sub-structure and super-structure works for the project in collaboration with Cidon. Race Cottam Associates was appointed as the architect for the project. The mechanical assembly of the two boilers and associated pipes was performed by Enwesa, while RR Projects installed the air-cooled condenser for the power plant and further collaborated with ROBA Rohr + Anlagenbau to perform the complete mechanical erection of the project’s WSC piping systems. Rainham Industrial Services performed the insulation works, whereas Rockwool Technical Insulation supplied the ProRox PS 971 UK pipe sections used for the insulation of pipework. The waste bunker was constructed by Slipform Structures. Soil stabilisation works at the project site were performed by TR Stabilisation. Other subcontractors involved in the project were Jakto, CBR Engineering, Construction Testing Solutions, Windgate Electrical, Tarmac, Black Diamond Security, Structural Soils, Vanguard Security and Services, Balfour Beatty Regional Civil Engineering, Mansells Construction, Redhall Engineering, Bentley Fencing, Powertherm Electrical, 40 Seven, Landcare, McCann, Soil Mechanics, and Mott MacDonald.